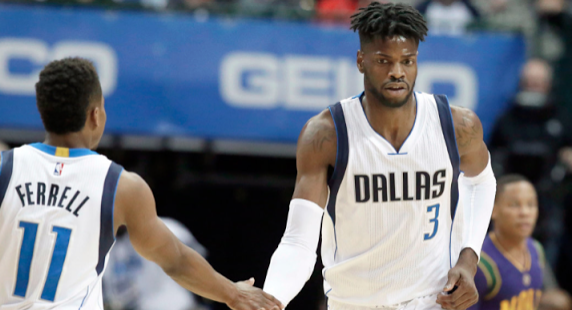 Nerlens Noel clearly betting on himself with acceptance of $4.1M QO. He turned down 4-year, $70M Mavs offer made on July 1, sources say. Noel, who came into the league as the sixth overall pick in the 2013 NBA Draft, entered the league with a lot of potential and a lot to prove. With three seasons in the pros under his belt (he missed his rookie season due to a torn ACL at Kentucky) Noel has averaged 8.7 points and 5.8 rebounds per game while shooting 51%, per ESPN. While he's steadily improved with each season and has shown stretches of great play on both ends of the floor, his issue thus far has been staying healthy. He's dealt with various injuries in his career in addition to the torn ACL: Noel is averaging only 64 games played per season. He certainly has the talent and upside for this bet to work in his favor, but $70 million is still a lot of money to turn down. Whether it pans out for him or not will be an intriguing side story of the 2017-18 NBA season, especially for Celtics fans: Noel is a great mid-season trade target for the Celtics. He has a low salary for the year and could be a fantastic fit for the win-now mindset of next season's Celts. Plus, after trading defensive away studs Avery Bradley and Jae Crowder, the Celtics might need some defensive help. All stats referenced in this article were found on ESPN.